Linklibs used the Google URL Shortener to shorten the links. 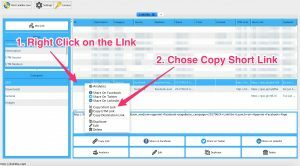 When you are saving the link after creating a new link or editing a link, Linklibs automatically requests for a short url for your link. These short link are visible in the Table of the main project window. 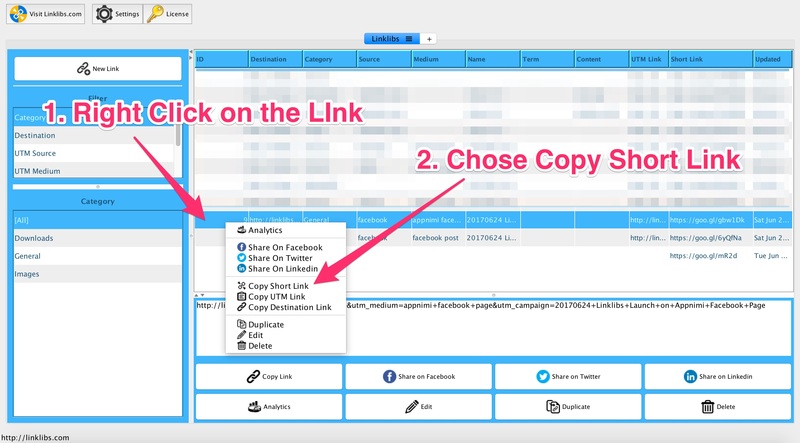 You can copy the Short Link by Right Clicking on the Link and then Choosing Short Link in the popup menu. It will get copied to the Clipboard. You can share it on your favourite social network from Linklibs. To know more about that you can visit the help for Social Sharing.